New Delhi: TDP MP Galla jaydev made interesting comments while after he starts the discussion on ‘No Confidence Motion’ in the Loksabha. 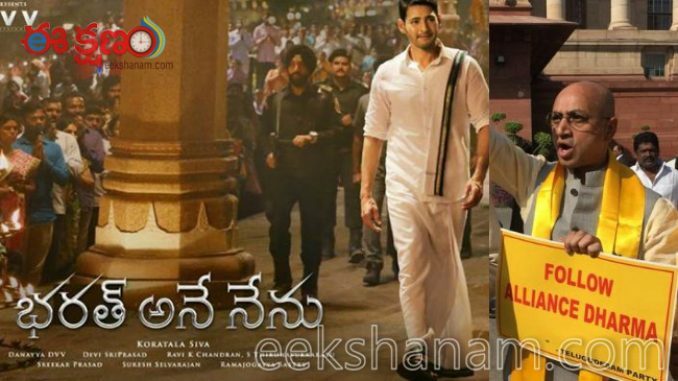 In his speech he quoted Tollywood hero and his relative Mahesh Babu starrer ‘Bharat Ane Nenu’ movie. He said that.. The movie concept is not to avoid the given word. So in the same PM Modi too has to keep his word regarding AP, Galla said. Galla said that the struggle they are facing for AP is like a justified war. After we came out of NDA they are taking revenge on us. Along with Special Status Category all given promises in the AP reorganization Act have to be fulfilled, Galla siad. He also thanked all parties who given support to TDP. As Galla Jaydeve continued his speech in English, Modi and all other leaders had listened carefully. It is a war between ‘Majority and Morality’.